Xanita offers all of the practical benefits of other boards, such as MDF and honeycomb, but has significantly stronger environmental benefits. Antalis has secured an exclusive distribution partnership with Xanita as part of a wider move to expand its portfolio of sustainable solutions and satisfy customer demand for environmentally friendly products. The paper and visual communications company will now be able to offer Xanita to its customers in the UK. Antalis is also in talks to extend this agreement to its outlets across Europe. 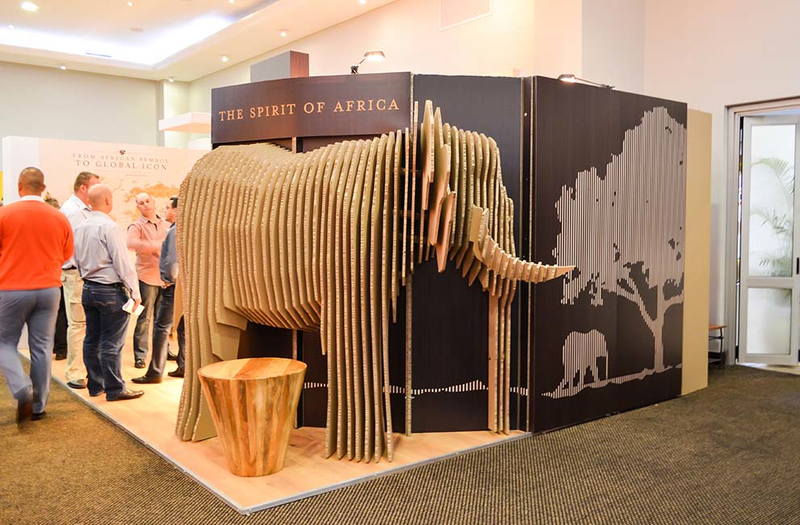 Based in South Africa, Xanita is an ultra-lightweight and sustainable composite fibre-board solution. The product is a 100-percent repulpable engineered and closed-cell fibre-board, manufactured with a corrugated kraft core made from recycled cardboard boxes. In addition to its environmentally friendly features, Xanita is both lightweight and strong, which Antalis said makes it suitable for a range of decorative and structural applications such as point-of-sale, shop-fit and exhibition design. Speaking to FESPA.com about the new partnership and how this will benefit Antalis customers, Paul Neale, visual communications product manager for rigid and synthetic sheets at the company, said: “Xanita offers all of the practical benefits of other boards, such as MDF and honeycomb, but has significantly stronger environmental benefits. The link-up with Xanita marks the latest, environment-focused move by Antalis to address increasing customer demand for greener solutions. Neale said that sustainability has always been a core focus for Antalis, as it strives to offer the market responsible solutions. Neale said: “This is largely in response to a surge in customer demand, which has stemmed from an increased consumer gravitation towards sustainable options, alongside innovative product development. Other products in the sustainable range at Antalis include DISPA, a 100-percent cellulose fibre product, made from 3A composites with multiple layers of 100-percent recyclable, FSC-certified paper. Antalis said the sign and display board is suitable for short-term, in-door displays. Also available from Antalis is Antecote, a high quality folding boxboard featuring what Neale describes as good bulk and stiffness properties. He said the product is mainly targeted at jobs where quality and price are paramount, also speaking highly of its brightness, whiteness and rigidity qualities.